Step 1: Line cookie sheet with parchment paper. 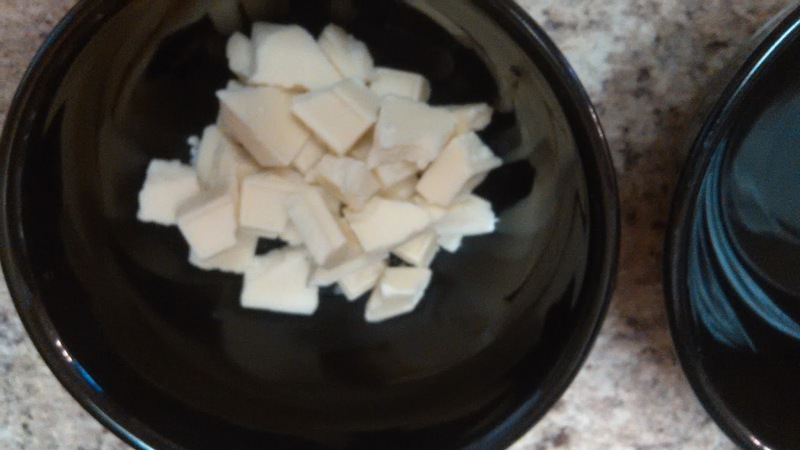 Step 2: Break white chocolate into small pieces and place in microwavable bowl. 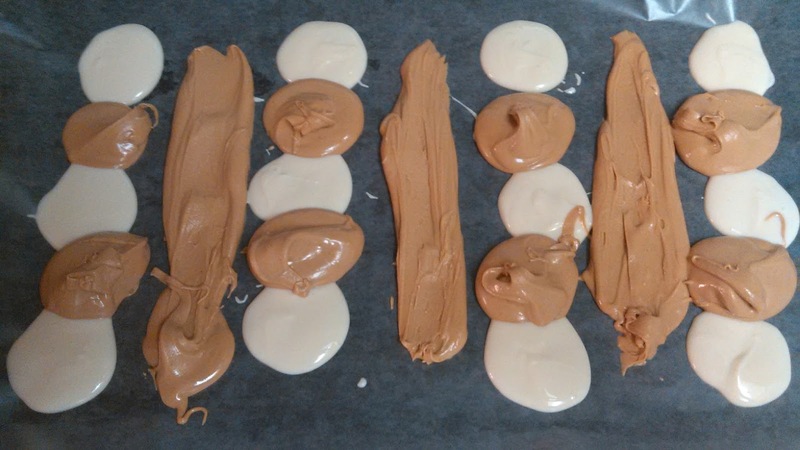 Microwave in 30 second increments until melted. Step 3: Pour Reese’s Pieces Peanut Butter Chips into microwavable bowl. 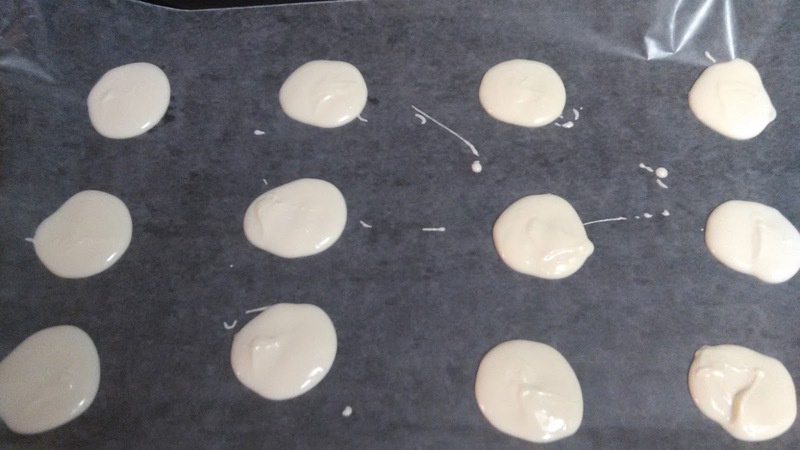 Microwave in 60 second increments until melted. Step 4: Spoon white chocolate onto parchment papers every 2 inches, ending up with approximately 12 spoonfuls. 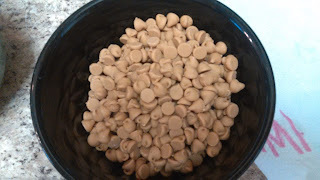 Step 5: Spoon the peanut butter mixture in between each white chocolate spoonful. Next, spoon the peanut butter mixture making three straight lines (2nd, 4th and 6th lines). 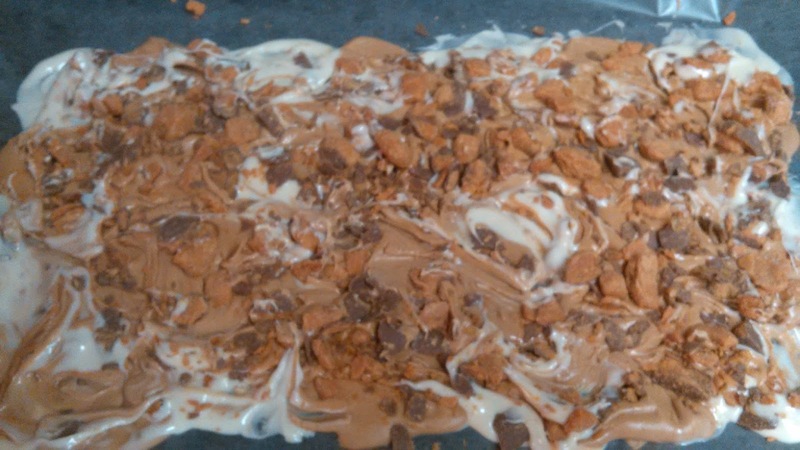 Step 6: Evenly sprinkle the Butterfinger Baking Bites onto the mixture. 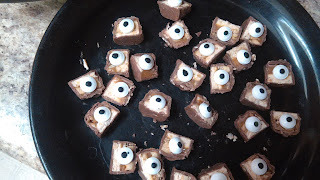 Step 7: Cut the Snickers bites in half. Place one eyeball onto the sticky side of the Snickers and gently press down. 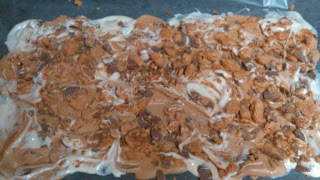 Step 8: Using a butter knife, use a twirling motion to swirl the colors and candy together. 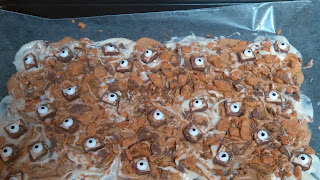 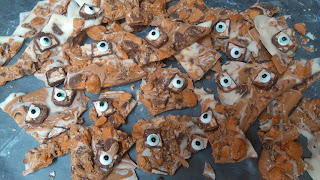 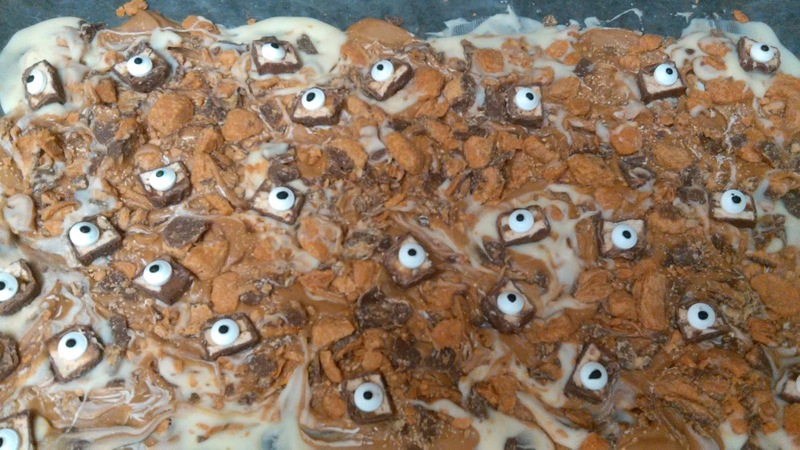 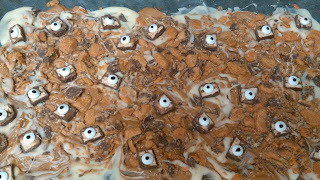 Step 9: Next, place the Snickers with eyes onto the bark evenly. 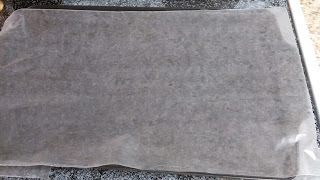 Gently press down. 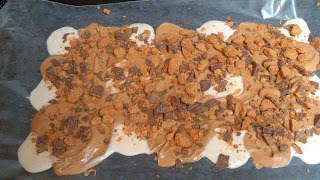 Step 10: Place in freezer for one hour. 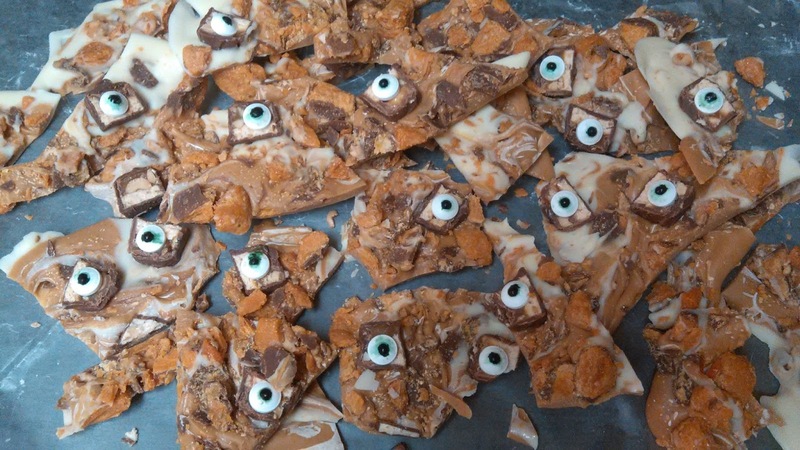 Remove and enjoy your Monster Monday Bark!